Join us at FBC through the month of December as we celebrate the Advent (Coming) of Jesus Christ the Messiah. 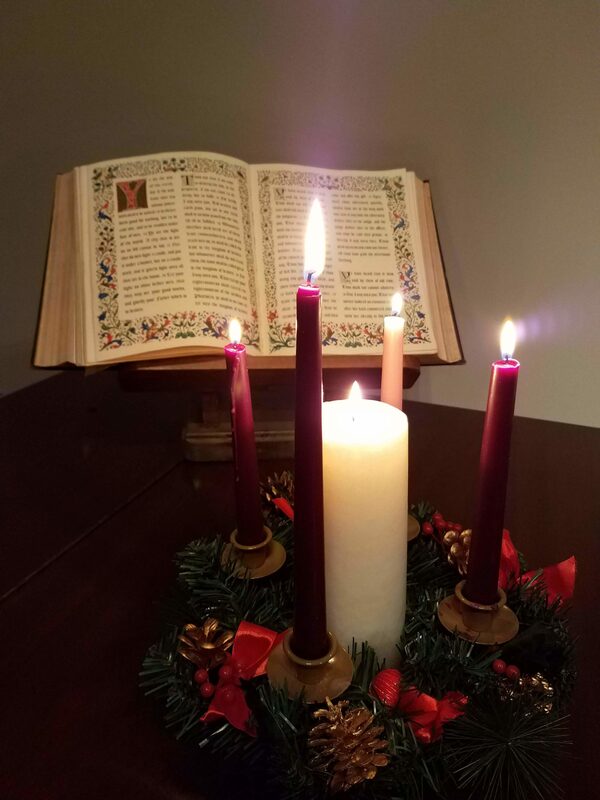 Each Sunday morning we will light another candle of the Advent wreath and hear the Word of God proclaiming the Good News for all people. Be sure you don’t miss these important reminders of the purpose of Christmas. 1. Start Early. Don’t wait until Christmas Day. You can’t start early enough or tell the true narrative often enough since the false story is everywhere to be heard. Download a family Advent Guide family_advent_guide.pdf. 2. Don’t Ignore The Bad News. Good news isn’t good unless it’s prefaced with bad news, and redemption becomes beautiful when we understand the depth of our need. 3. Find The Flaws. Enjoy the traditions, make new memories, and have a good time, but take opportunities to point out how and why the false Christmas story you will hear again and again isn’t true. 4. Celebrate Jesus As The Gift. Express love by giving gifts and enjoy receiving items on your own wish list, but remind yourself and others that creation can’t satisfy us and that our only hope is found in one Gift—the person, presence, work, and grace of Jesus. Read the entire article by Paul Tripp HERE.